Admission time: we always thought Paul Weller’s music was a little samey. The aging Review Corner member bought the Jam’s first album and found it somewhat lacking in variation. Not being into Mod-dom probably didn’t help, but neither did all those ironed suits and scooters. As a singles band we always loved The Jam — who wouldn’t? — but never bought another album. The Style Council was a clear change but not really our cup of tea and in latter years even diehard Wellerites must have thought he’d settled down to churning out albums for his fanbase. 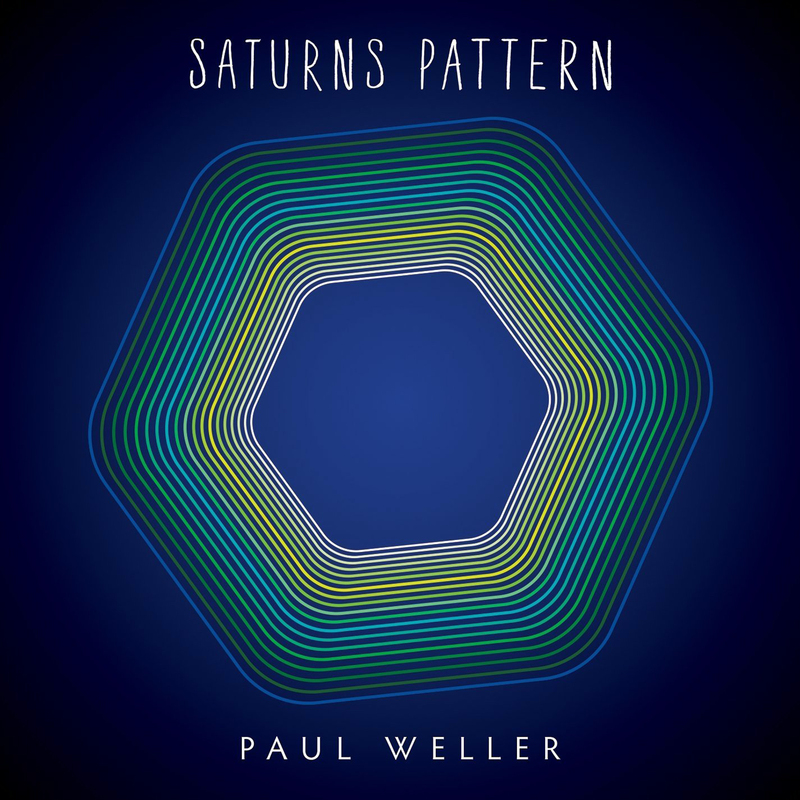 But this twelfth solo album has seen him continuing a recent reinvention and Saturn’s Pattern may be the first Weller album we like. Whether this means old school fans will hate it, or whether it’s going to go down as his greatest work, we don’t know. He’s gone back in time to the Mod years but this time psychedelic blues is his inspiration, more Cream than The Creation. Opener White Sky is a song that’s impossible not to like: a psychedelic stomper with Weller bellowing his vocals down a megaphone. It appears to reference Robert Johnson’s selling of his soul at the crossroads or possibly it’s more prosaic and it’s just a band at a crossroads with nothing more to say. Amorphous Androgynous lend their psychedelic touch, giving it the strongest groove of any song on the album. The title track is more what you might expect from Weller, while Going My Way is one to keep the fans happy, though both are pleasant Beatles-ish bluesy psychedelia. Long Time goes back to a chugging groove and a Stooges style punk tune (though very sanitised), and some scuzzy guitar courtesy Josh McClorey, he of The Strypes. I’m Where I Should Be and the excellent Phoenix are both chilled 60s pop tunes, a long way from the pace and anger of The Jam. In The Car is another stomper, with a dirty blues guitar trading tiffs with a jazz piano. The standouts are the bookend tracks, White Sky for being a stomper and closer These City Streets for being smooth and dreamy. For an old geezer like Weller, it’s an impressively jaunty and light-of-touch album, with Weller letting the music do the talking rather than his trademark vocals, and there’s nothing of the predictable about it.